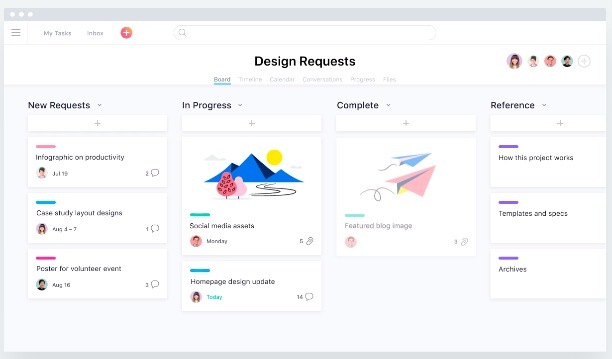 Asana, a San Francisco-based work management platform company, announced that it has raised $50 million in Series E funding led by London-based Generation Investment Management — which is an investment firm founded by former United States Vice President Al Gore. 8VC, Benchmark Capital, Founders Fund, Lead Edge Capital, and World Innovation Lab also participated in this round. Asana was founded by Dustin Moskovitz (Facebook co-founder) and Justin Rosenstein (former Google and Facebook executive). Since launching, the company raised $210 million in total funding. Some of Asana’s previous investors include Sean Parker, Ron Conway, Owen Van Natta, Marc Andreessen, Joe Green, Peter Thiel, Mark Zuckerberg, and Y Combinator. About 50% of the company’s revenue comes from outside of the US, according to VentureBeat. And last year, Asana expanded beyond English. Now it is available in French, German, Spanish, and Portuguese. And the company is now rolling out in Japan with localized support, including the hiring of a team in Tokyo. Plus the company is opening the first Asana office in Sydney later this month.